(May 8, 2018 – Toronto, ON) It seems as if every day brings new and alarming headlines about climate change and environmental catastrophes. From almost uncontrollable wild fires in the United States, Canada and elsewhere, to increased numbers, size and intensity of hurricanes. In places there are dire predictions many species will not survive, in others the warming of the oceans is bringing massive destruction to coral reefs while island populations fear for their future as the waters rise around them. Economic growth, tied to increased speed of resource extraction, has created a machine that has the capacity to destroy all life. With all that, and more, it’s easy to become pessimistic and lose hope. Yet hope is at the heart of of a new visually stunning feature documentary from Velcrow Ripper and Nova Ami. 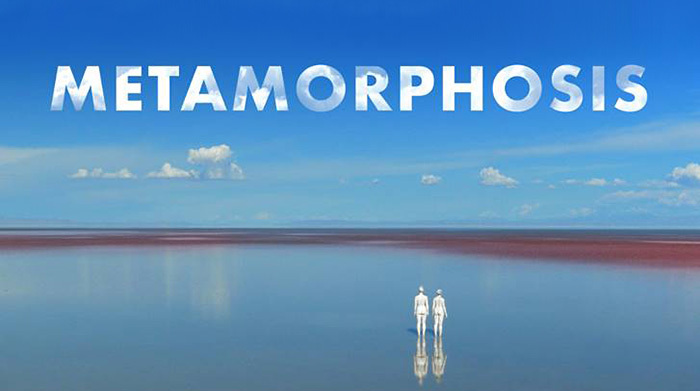 Titled Metamorphosis, this new film is being called a “cinematic poem for our planet” and it will start screening in cities across Canada beginning on June 1 in Montreal and Quebec City, followed by runs in Toronto, Calgary, Edmonton, Victoria and Vancouver, with filmmakers Ripper (Fierce Light, Scared Sacred) and Ami (Say I Do, Secrets) appearing in all cities. Metamorphosis takes the pulse of our Earth and bears witness to a moment of profound change: the loss of one world, and the birth of another. 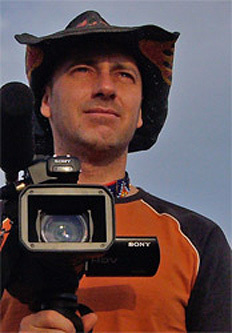 The film captures the true scale of the global environmental crisis. But this crisis is also an opportunity for transformation. Through a tidal flow of stunning images, Metamorphosis carves a path from the present to the future, and offers a bold new vision for humanity and the world. For example, in Milan, architects design vertical forests, urban towers covered with trees and bushes that reduce CO2, produce oxygen, and give new life to the city. In Phoenix, swimming pools are repurposed into self-sustaining gardens. In LA, installing solar panels in underserved neighbourhoods provides cleaner energy to families who normally would not be able to access it. Woven through these and other stories of creativity and reinvention from artists, scientists, thinkers, and young children are creative, systemic solutions for our planet and our communities. Prior to its theatrical run, Metamorphosis was selected to screen at the DOXA Documentary Film Festival in Vancouver as well as the Santa Barbara International Film Festival and DocLands Documentary Film Festival in California. Metamorphosis is produced by Lauren Grant (Clique Pictures), Nova Ami and Velcrow Ripper (Transparent Film) and Bonnie Thompson and David Christensen (NFB). The executive producers are David Christensen (NFB North West Studio) and John Bain. June 7 and June 8 at 9 p.m.
June 22 at 4 p.m. and June 23 at 9:30 p.m.